A Scappoose man who was hospitalized with life-threatening injuries Friday evening, Jan. 11, after being struck by a vehicle later died as the result of his injuries. 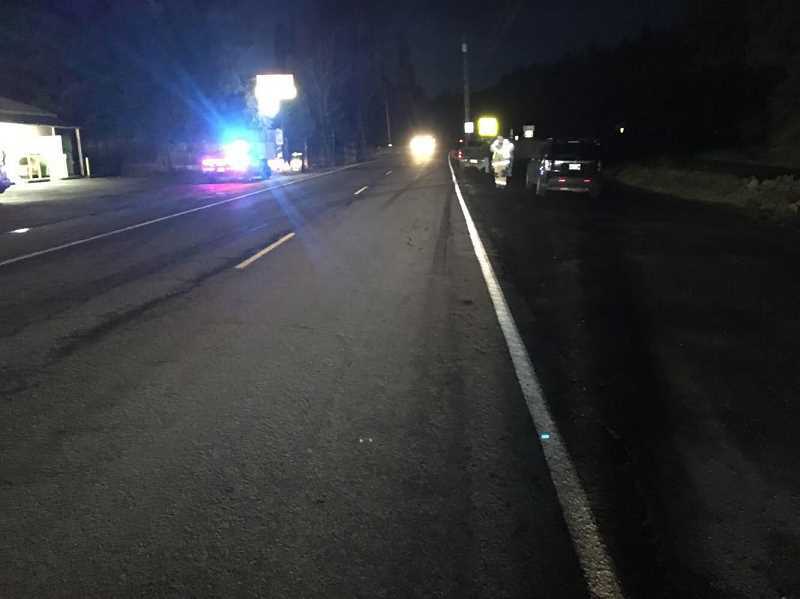 James L. Spencer, 66, of Scappoose was identified as the pedestrian in a vehicle vs. pedestrian crash at 5:21 p.m. Friday on Scappoose Vernonia Highway near Wikstrom Road in Scappoose, the Columbia County Sheriff's Office reported Friday evening. Spencer was reportedly struck by a vehicle and sustained life-threatening injuries from the crash. He was transported by ambulance to a Portland area hospital, CCSO stated in a news release. Sheriff's officials could not confirm his status, but a friend and neighbor of the victim said Spencer died Tuesday afternoon, Jan. 15, as the result of his injuries. The neighbor said Spencer was walking near his home at dusk when he was hit. The driver of the vehicle, Andrew Ray Serrano, 49, from Vernonia, stayed at the scene and cooperated with investigators, according to CCSO. Sheriff's deputies, Oregon State Police troopers and Scappoose Police Department officers all responded to the scene. OSP conducted a reconstruction of the crash and an investigation is ongoing. Friends say a memorial service is being held for Spencer at 11 a.m. Saturday, Jan. 19 at St. Wenceslaus Catholic Church in Scappoose.